“…AND THEY’RE OFF!” So begins one of the most important events of the year in Australia. This week I experienced the Australian “Race that stops the nation.” From our arrival in Australia, one of the most repeated things we had heard was how important the Melbourne Cup, one of the world’s longest horse races, is to Australians. It’s practically equivalent to the American Super Bowl, without all the ads and performances. 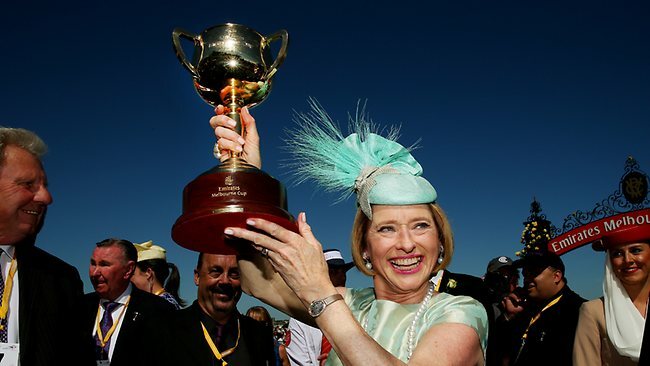 The importance of The Melbourne Cup,as a three minute horse, surprises me. But I suppose you could question American’s fixation on a football game as well. It’s a public holiday in the state of Victoria, giving all people in that state the day off of work. In Sydney, we (unfortunately) don’t go to that extreme to watch the race, although most workplaces do actually stop their day, hit the pub, grab a drink and watch the main race. There are 24 horses, many who’ve trained all year, to participate in the various races throughout the day, although the actual Melbourne Cup is the only race of significance to those who are not avid fans. 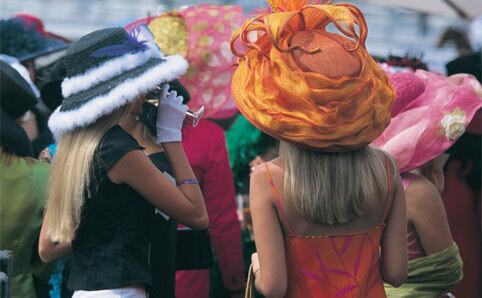 High fashion is very important to the celebration of the Cup as well, with a Kentucky Derby-esque style. No outfit is complete without a crazy, ribbon-ed, feathered, glitzy headpiece. No horse race can be complete without some bets too, of course. Sweeps are a fun office activity on a small scale, putting in money and rooting for a randomly-chosen horse. Everybody buys a random horse for $5 and the person whose horse wins first, second, and last get splits of the money. On a major scale, many people bet massive sums on the cup, spending days analyzing the specs of each horse. 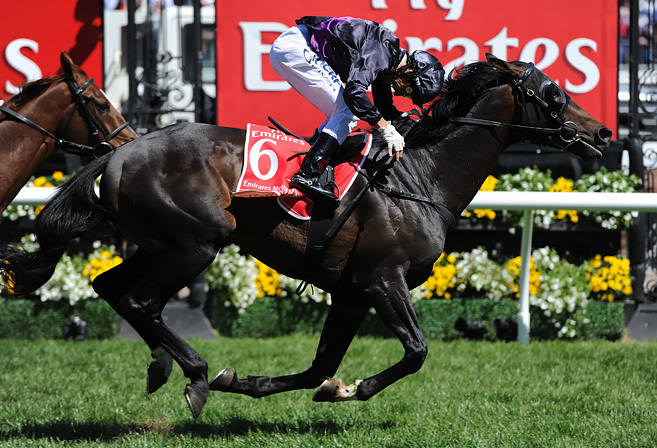 This year’s winning horse, Fiorente, was no surprise to cup fans. He was the favorite, and won his owner and jockey a combined SIX MILLION DOLLARS. The best part is that after all of the excitement that goes into the race preparations—the party planning, the fancy dress, the research into horse and bet—the actual race lasts about three minutes. All that excitement– for three minutes! I was a little disappointed. Except for the fact that after a cold drink and the race, we got to leave work early and have a long afternoon hitting the post-race after-parties. Previous Previous post: Check Out More of My Travel Writing On the BUCommunicator!